In June of 2012, Dr. Fernando Figueroa opened his private solo practice and the outpatient physical therapy clinic known today as Fernando Physical Therapy Services, Inc. With each patient, we ask specific questions about your symptoms, review medical records, listen to what you tell us, and then perform a thorough assessment. We will develop a specific treatment plan to help you heal. From our experience, using an active treatment approach emphasizing specific exercises, education, postural advice and hands-on therapy leads to better outcomes for patients and lasting results. Here at Fernando Physical Therapy Services, Inc., we offer you with a means of understanding your condition and provide self-treatment options, and a home exercise program so you will continue to benefit from our services long after you leave our care. Dr. Fernando Figueroa initiated his career as a therapist working in a hospital and outpatient center specializing in sports medicine, as well as working with the elderly population. 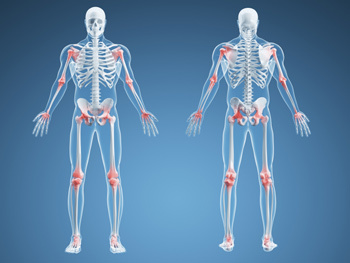 He has been trained in the orthopedic field where he has developed his work. He has been educated through different well-known institutions: McKenzie Institute (spine disorders), University of Saint Augustine (manual therapy), Roy Matheson Institute (ergonomic certification), Sara Meeks (Osteoporosis training), etc. Dr. Fernando Figueroa received his Bachelor of Science degree in Physical Therapy in 1987 at the University of Chile. He came to the USA in 1990 after Austin Texas University approved the educational background and curriculum. He passed the National Physical Therapy Examination and received his license to practice Physical Therapy in the USA. From Texas he moved to Stuart to work at Martin Memorial Hospital, taking the position of Clinical Director and Manager of Physical Therapy in Outpatient and Inpatient facilities, a position he held for 5 years. 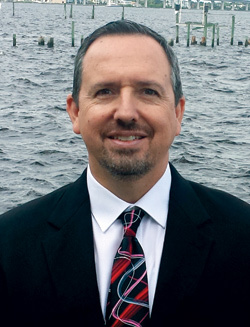 Dr. Fernando Figueroa obtained his Master of Science degree at Barry University in 1995. He then obtained his certification as Ergonomics Evaluation Specialist with Roy Matheson and Associates from Nashville, Tennessee, in 1997. His Doctor of Philosophy Health Administration degree was received in 1999 from Columbia Southern University. In 2007, he completed his DPT, Doctor of Physical Therapy degree; graduating from the University of Saint Augustine, specializing in manual therapy. Dr. Fernando Figueroa has vast experience treating orthopedic disorders, in particular spine problems. He has implemented functional and effective outcomes based on his strong educational background. He is certified in ergonomics evaluation, CEES (Certified Ergonomics Evaluation Specialist), and a certified MDT (Mechanical Diagnosis & Therapy) from the McKenzie Institute. Dr. Fernando Figueroa has given courses and seminars in Latin America about physical therapy and orthopedic problems such as hip replacement, back pain and other topics concerning manual techniques. Dr. Fernando Figueroa has been guest speaking at IRSC (Indian River State College) since 2010. He receives students from IRSC in training for physical therapy. He is a member of the APTA, AFTA, Orthopedic Section of APTA, AAOMPT and the McKenzie Institute. To schedule an appointment or for more information, please call (772) 223-4563 or email info.fernandopt@gmail.com. We are located at 421 SE Osceola Street, Ste C Stuart, FL 34994-2505.